2019 Catholic Schools Week Kicks off on Sunday, January 27! Thank you for joining us at our Golden Jubilee Mass, in celebration of the Feast of Our Lady of Guadalupe, patroness of our school. The Most Reverend Michael J. Fitzgerald, D.D., J.D., J.C.D., V.G., Auxiliary to the Archbishop, Archdiocese of Philadelphia, presided during this special Mass. Congratulations to our two 8th grade Neumann Scholarship winners! Read more about Congratulations, Neumann Scholarship Winners! 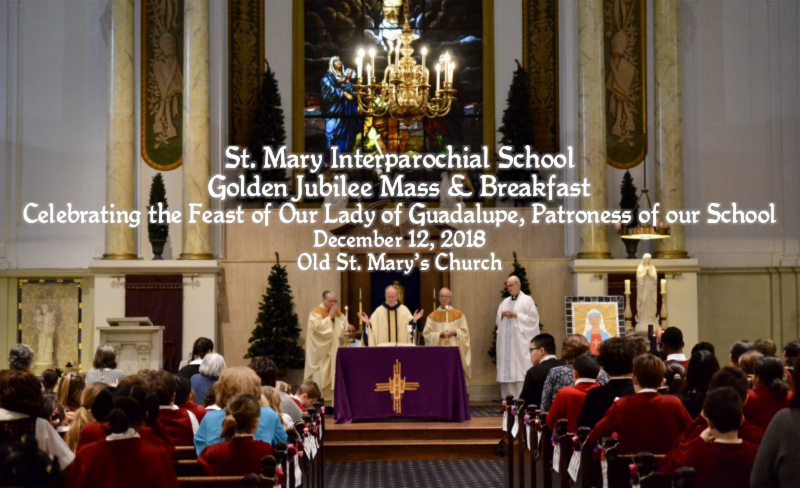 St. Mary Interparochial School challenges its diverse student body to grow morally, academically and socially, into passionate, confident and Christ-centered leaders of the 21st century. May Procession at OSM 10:00AM - Please join us! We are pleased to announce TWO winners! Our rooftop has been buzzing with #STREAM activities!